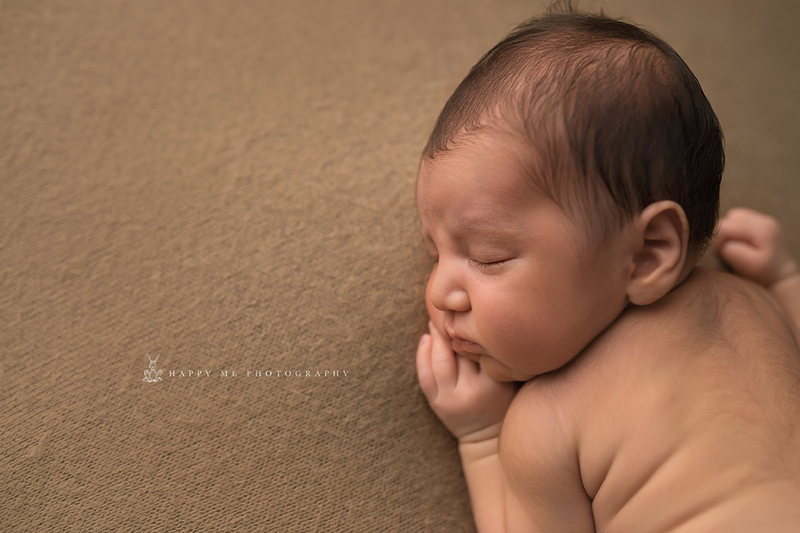 I love capturing newborns. 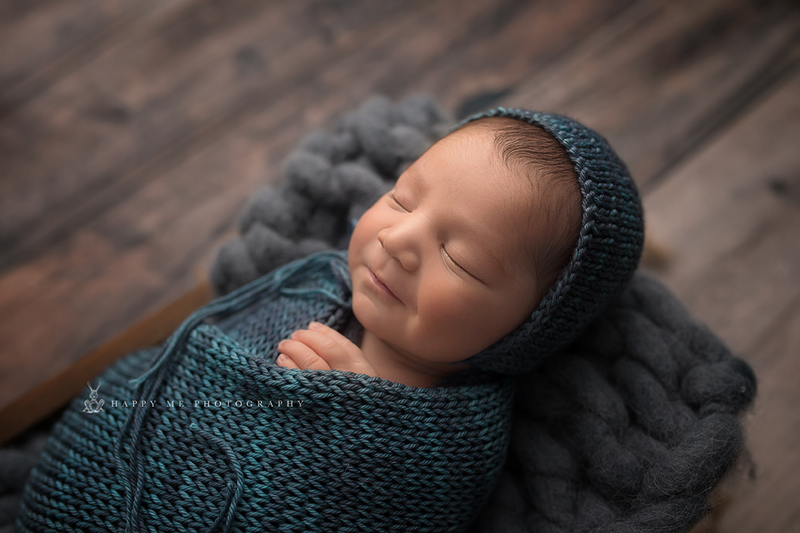 There is nothing like the sweet innocence of a brand new baby and to be the one to capture that for families forever is one of the best parts of my job as a Newborn Photographer Daly city. 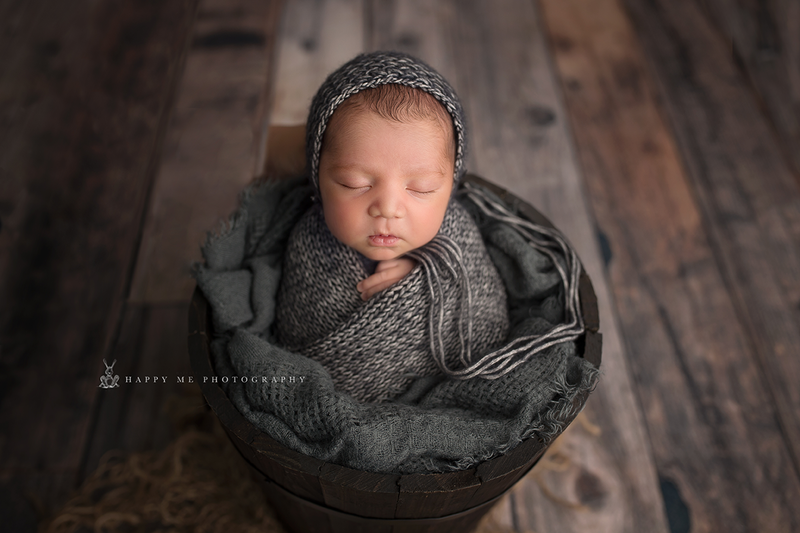 For this session, mom, Monica, contacted me to arrange a Newborn session for her new addition. At the time, her little boy was seven days old. He was the sweetest little thing. We went with a neutral color palette of browns and grays for most of the session. 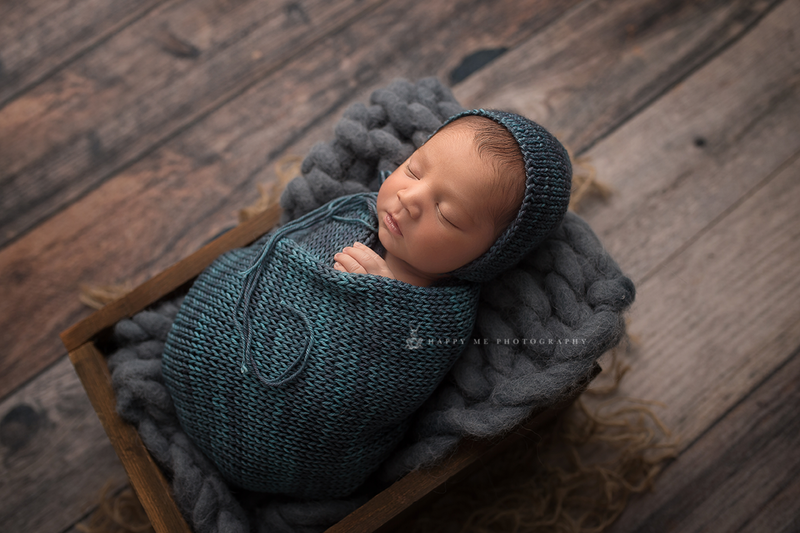 We did a few with a darker blue swaddle that complimented the gray nicely. 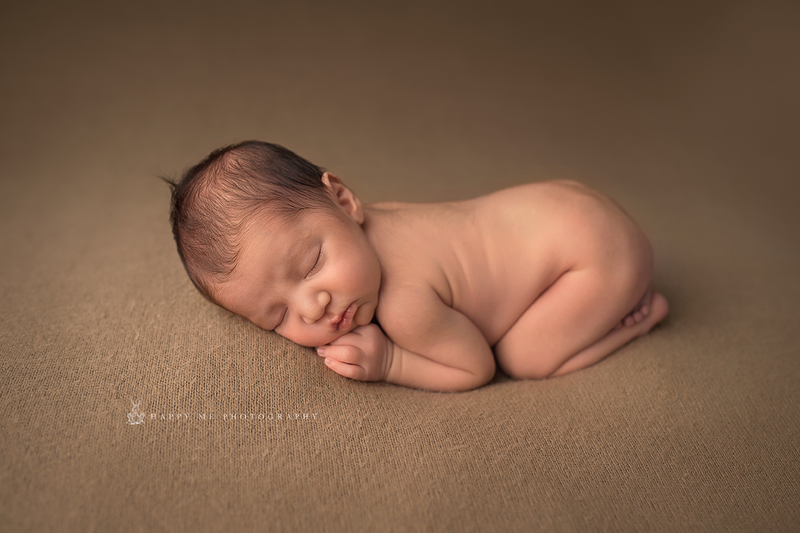 Although this little guy slept for most of his session, as most newborns do, he gave us an array of expressions. During this portion of the session he even gave us a heart warming smile. I about melted. He was so handsome and that sweet little smile was almost more cute than I could handle. Mom and dad brought a helmet and football to the session with them and asked if I could incorporate it. I thought a cute and tasteful way to do this would be to hang the helmet on the bed post and place the football next to the bed. 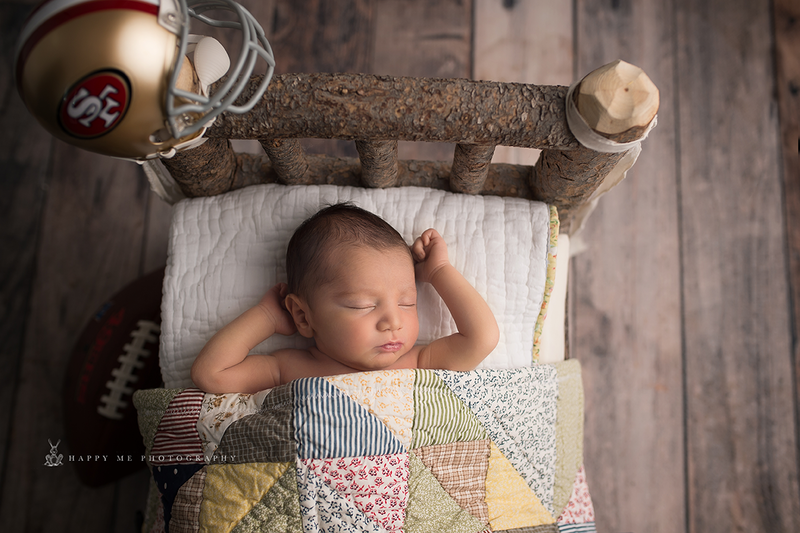 This allowed the baby to be the focus of the image while still including the props mom and dad brought. These turned out really cute. 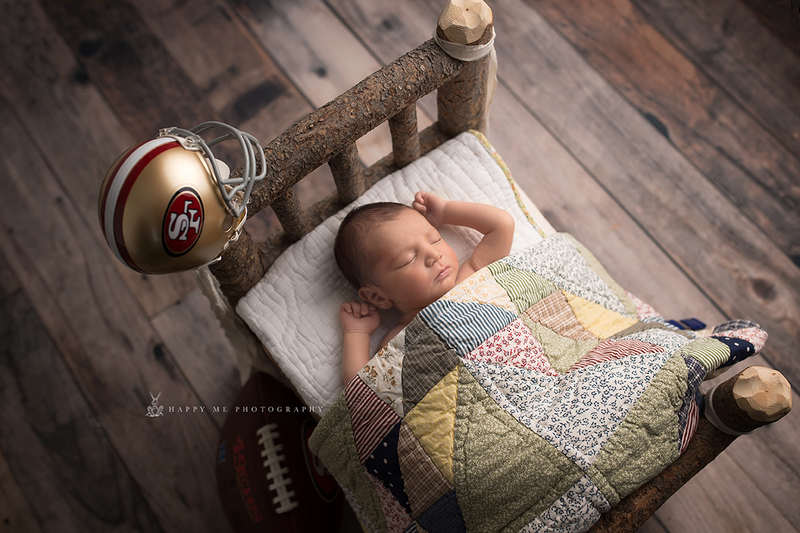 He was sleeping so soundly, possibly even dreaming about the day he could play catch in the yard with that football and watch some San Francisco games with Mom and Dad, cheering on their favorite team together. I was thrilled to work with this sweet family. Booking a session is easy . You can check my SCHEDULE and book a session yourself or you can contact me if you have any questions.